Like the Savannah after the rains, our land is beginning to sprout with new life. The team continues to grow and development progress is steady. As the season continues, you will see the landscape fill with new announcements, videos, designs, and technology--sustenance for you and your young! The team is focused on the playable demo for PAX East, which is ultimately a subset of things that will be available in the Prologue. As a general rule, our work style can be described as doing the right things in the right order so as to reduce rework. It's no secret that we are a relatively small team for what is typical for this kind of undertaking, so it's essential that we work smart. It doesn't always net visible progress but, much like a snowball rolling downhill, it will begin to gain mass and pick up speed as we roll along! Some of the aspects we've been working on are difficult to show. Rather, they should be experienced, such as the sound of your footsteps on different types of terrain, ambient noises while in town or out in the wilderness, the way it feels to move around, the speed of your run, the height of your jump, how heavy you feel when you land, etc. It's been a while since we did a video, so we'll get some in the pipeline soon so we can share at least some of that kind of thing. Something else that is in progress, but without an obvious way to show it, is our integration with SpatialOS. 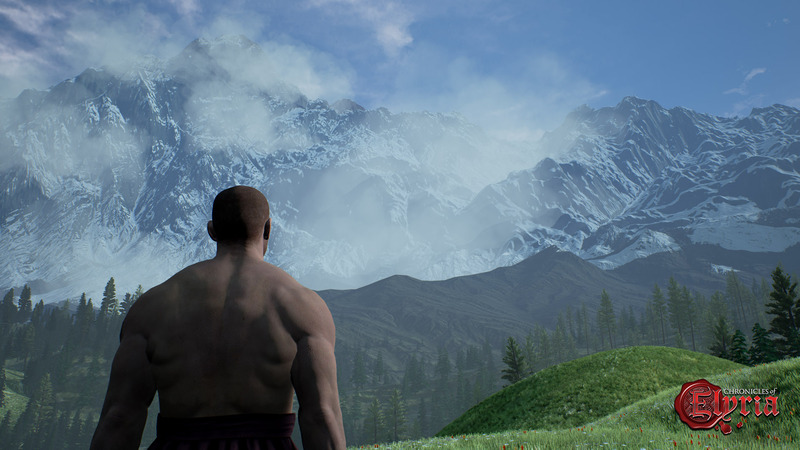 We are crafting an online game and we are building our foundations now. 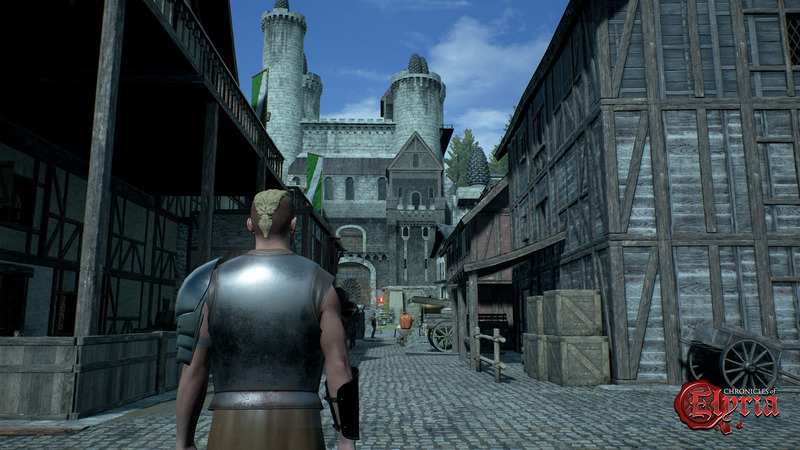 The Prologue will be offline, so the first chance to see this in action will be when Kingdoms of Elyria and ElyriaMUD are released. It's happening though, I assure you! Joining the team now as our Lead Programmer is Steve ‘Cynax’ Hoelle--a programmer with a dozen years of experience on a variety of MMORPGs and online games. He’s worked on Star Wars: The Old Republic, Warhammer: Age of Reckoning, and Vanguard: Saga of Heroes, as well as some lesser known and cancelled projects including Strife, Imperium: Galactic War, and Dark Millennium Online. Steve’s hobbies include tabletop RPGs, reading every fantasy fiction book ever written, and being a star country singer in his car. Steve likes to imagine he is a member of the Adeptus Mechanicus. During debugging sessions you might overhear him muttering about machine spirits and belief-based programming rituals. We are extremely excited to bring him into the fold! He has dramatically increased the studio's collective stats for Positivity and Sarcasm, as well as fixed some bugs that have plagued us for a while...all in his first week! We retired our stretch goals at the end of 2016 so that we actually have the time to include everything by launch. That's not to say that some things won't show up after launch, such as Mounted Combat. Earlier this month we hit $2 million and many folks on the forums were wondering about the fate of the Dig/Bury/Sensory Map stretch goal. I'm pleased that I can share that we fully intend to include the Dig/Bury feature at launch, even though the goal wasn't hit by the deadline. Now, hiding things underground is one thing, but the Sensory Map is a whole other beast, so it won't be included as a part of that system. I think we can all agree that a system for burying something is a lot easier to conceptualize than how to create a visual analog to taste, touch, temperature, orientation, and overall body awareness, so this should not be a surprise. The surprise is that, regardless, you'll get the Dig/Bury feature! 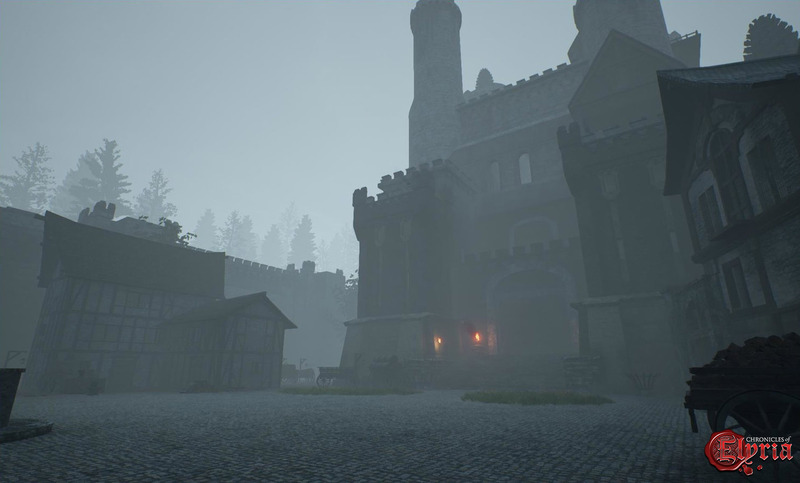 We ended the Elyria on Earth contest last week and we had a great time going through all the entries. In case you missed it, the announcement of the winners can be found here. Take a gander and give some hearts and retweets if you are so inclined. I'm sure everyone would appreciate a little appreciation! Okay, so I already included a bunch of screenshots in this update, but I have more and I have to share them or I'll burst!!! It's already been two weeks since I announced the next Live Q&A. That may as well be a lifetime ago when one is hustling and bustling like we are. So, partially because I can't believe how fast time is flying and partially in case it slipped your mind too, the Settlements Q&A is tomorrow! 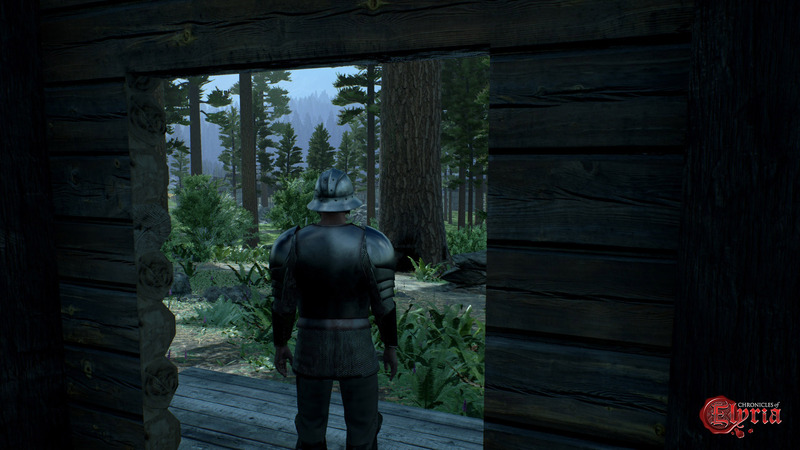 Join us on our Twitch.tv channel tomorrow, Thursday, January 26th at 12pm PST / 3pm EST / 8pm GMT to learn about Settlements in Chronicles of Elyria! Caspian and Jason “Death” Welter will be answering your questions in a live Q&A stream that will be at least 1 hour. The questions in question are coming from this reddit thread, so head on over and upvote your favorites! There have been some design journals that have touched on elements of settlements before in different ways. They are here, here, and here. Check them out ahead of time so you can be well-informed! Can you add the list of questions to the video in the YouTube summary and their timestamp? This way someone can look up a question for the answer, and even start a topic pointing to these. Or simply put the questions under FAQ with the link to the video and timestamp. Nothing worse than trying to get someone interested in the game and having to remember all this and giving misinformation. Can you add the list of questions to the video in the YouTube summary and their timestamp? This way someone can look up a question for the answer, and even start a topic pointing to these. Or simply put the questions under FAQ with the link to the video and timestamp. Nothing worse than trying to get someone interested in the game and having to remember all this and giving misinformation. It's shaping up very well indeed. 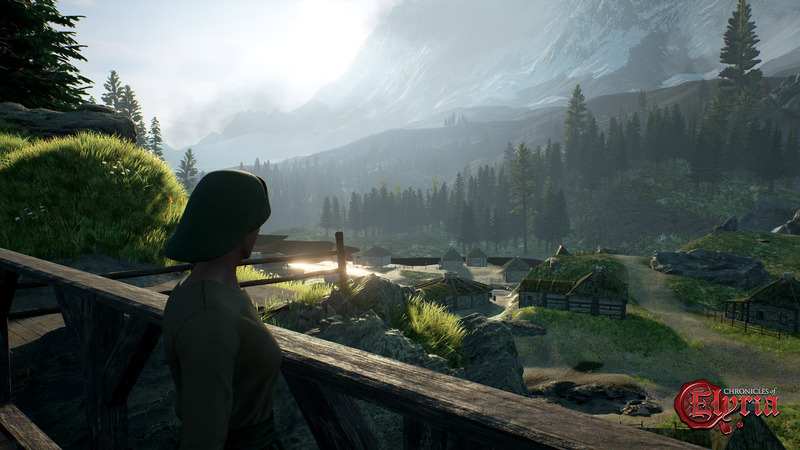 I can't reveal anything from the early access forum but I can say the recent screenies are a thing of beauty. Regarding regular betas, no, not yet. They are not at the Alpha stage yet, but do appear to have significant work done. When they decide they are happy to begin unit tests / alphas we'll hear about it on here. 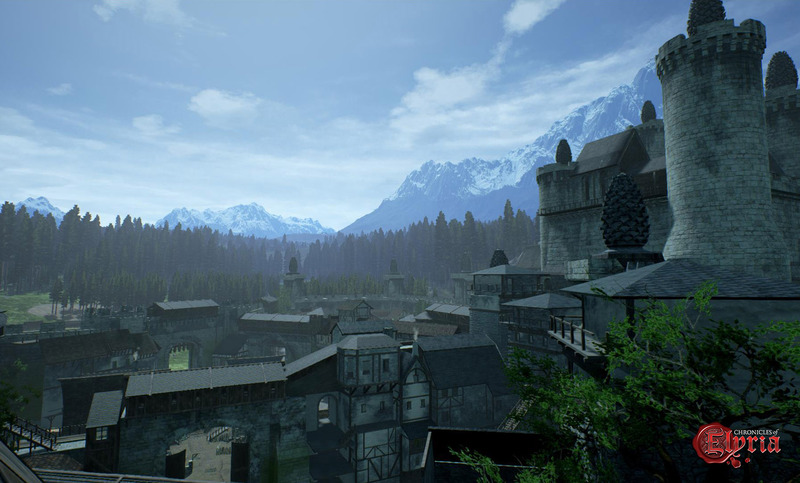 I would look into Kingdoms of Elyria if you're thinking about backing. It may offer the opportunity to enlarge your family's fortune before you begin in earnest. Ie back sooner rather than later if you're comfortable in doing so. It's shaping up very well indeed. 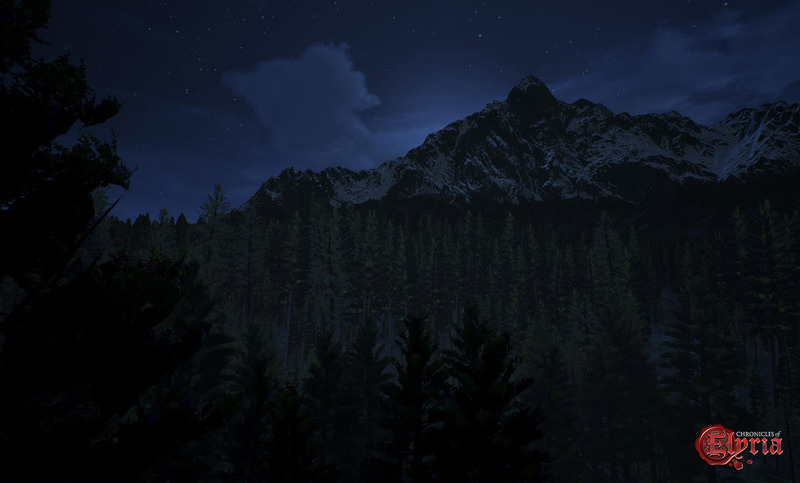 I can't reveal anything from the early access forum but I can say the recent screenies are a thing of beauty. Regarding regular betas, no, not yet. They are not at the Alpha stage yet, but do appear to have significant work done. When they decide they are happy to begin unit tests / alphas we'll hear about it on here. 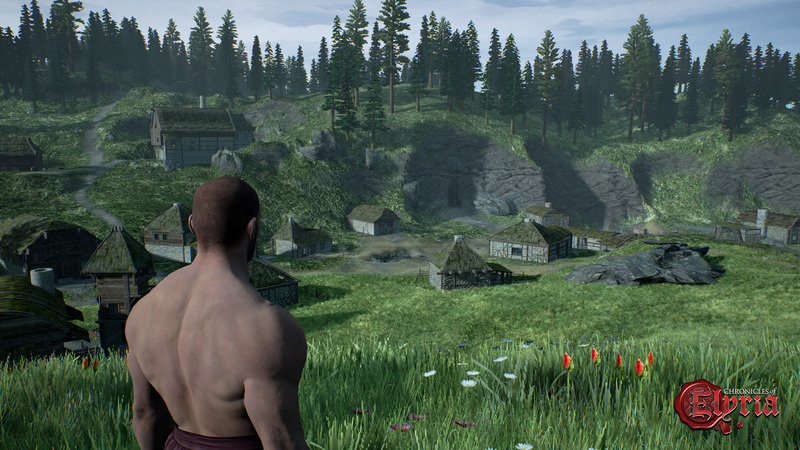 I would look into Kingdoms of Elyria if you're thinking about backing. It may offer the opportunity to enlarge your family's fortune before you begin in earnest. Ie back sooner rather than later if you're comfortable in doing so. It looks very good and promising, just dont make tremendous haircuts in the last moment, such other promising sandbox mmos did and we end up with a pumpkin instead of a jewel. Or a total transformation from sandbox into a theme park. I wonder if there is any regular betas, because you already selling packs. It looks very good and promising, just dont make tremendous haircuts in the last moment, such other promising sandbox mmos did and we end up with a pumpkin instead of a jewel. Or a total transformation from sandbox into a theme park. I wonder if there is any regular betas, because you already selling packs. 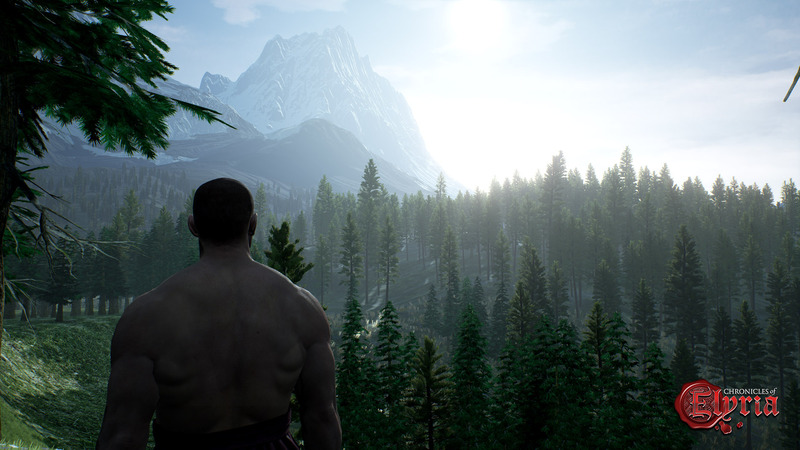 This game looks exciting and looks to be what many people have been hoping for in an MMO for years.. Understandably its been in development for a few years and many have claimed it to be vaporware. I have sat back and played games called vaporware and till this day they were some of the best games but sadly balance issues and hacking got the best of them. I am hoping this team sticks on track and continues to have that open mind about things such as balance once the game goes live. On that note is there any expected milestone dates yet? As a long time fan of SWTOR, and one who still actually plays it, I was super excited to hear that Steve ‘Cynax’ Hoelle was hired on the team! And he has already showed his skills, very excited about this development. I look forward to seeing CoE grow into that game that we all want it to be. Keep up the good work! I've been looking to get back into the world of MMOs for a good ling time now. This project looks exactly like what I want from an online gaming experience! Keep it up guys, we're all well looking forward to this! Anyone else spot the entrance to the Mine in the background of Silver Run and get excited lol? It's nice to hear these updates. Too many companies hide info for too long. I'm especially happy to hear about the new hire! Keep up the good work. I would like to thank the developers for making this game, i think that this game will become a major landmark in the MMORPG franchise and shape the future of new gen MMORPGs. 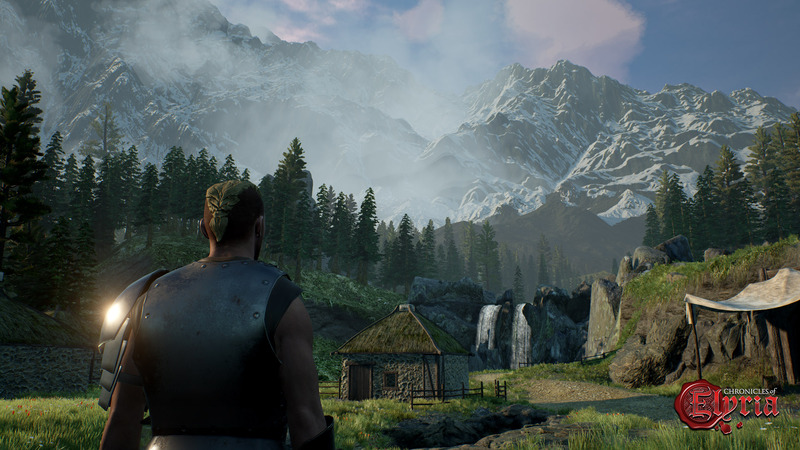 The idea of a player based economy and growing your own character, makes me think that Chronicles of Eylria will not only become a game, but will become its own world in itself. Thanks for the update - it is truely beautiful. May I add, of course, there is still much time left - that some dirt in the city would be great? It looks fantastic but a little too clean, too bright - some dirt might be perfect! 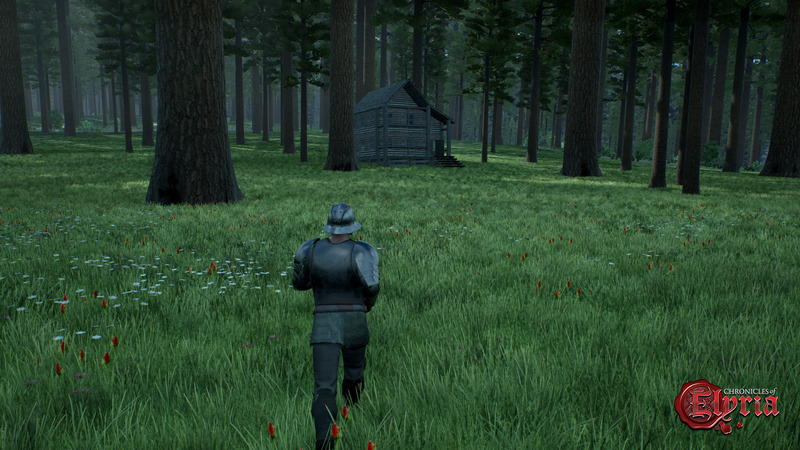 One aesthetic aspect that I was concerned about was the lack of shrubbery in the woods. The trees are sparse (which is good, because it maximizes mobility through the area and minimizes trouble with wonky hitboxes) so some short bushes would fill in the vertical space left empty by the grass nicely. follow up comment: I demand to be capable of chopping down the tallest tree in the forest with a herring. 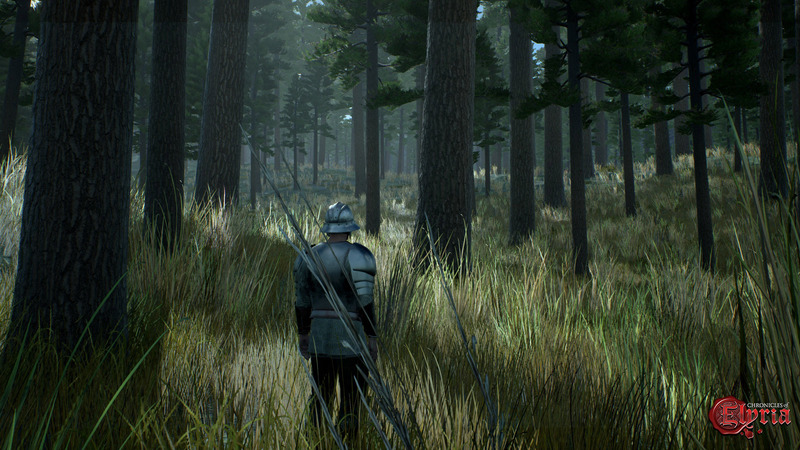 One aesthetic aspect that I was concerned about was the lack of shrubbery in the woods. The trees are sparse (which is good, because it maximizes mobility through the area and minimizes trouble with wonky hitboxes) so some short bushes would fill in the vertical space left empty by the grass nicely. follow up comment: I demand to be capable of chopping down the tallest tree in the forest with a herring. 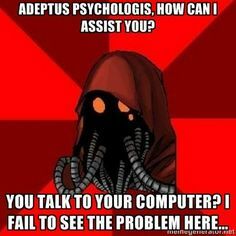 I am just glad you guys hired an Adeptus Mechanicus. Every dev team should have one. As always thank you for the update. Do you have the picture you used for the thumbnail for this update as a full screenshot? As always thank you for the update. Do you have the picture you used for the thumbnail for this update as a full screenshot? It will be a joy exploring Elyria, to try and find a place like this one. Thank you Vye, It will be a joy exploring Elyria, to try and find a place like this one. I spy, with my little eye, a large door in the hillside. [Click here for photo](https://chroniclesofelyria.com/blog/16500/Settling-For-More#image-10) I spy, with my little eye, a large door in the hillside. Here is another picture you might want to look at. What status of town is this? What buildings are included? Looks like I'm the first one to point it out. Pretty surprising. Posted By **Drun Redforge** at 9:44 PM - Thu Jan 26 2017 > > Posted By **Oracle** at 5:56 PM - Thu Jan 26 2017 > > > > > Posted By **Drun Redforge** at 11:39 PM - Thu Jan 26 2017 > > > > > > > > Looks like I'm the first one to point it out. Pretty surprising. 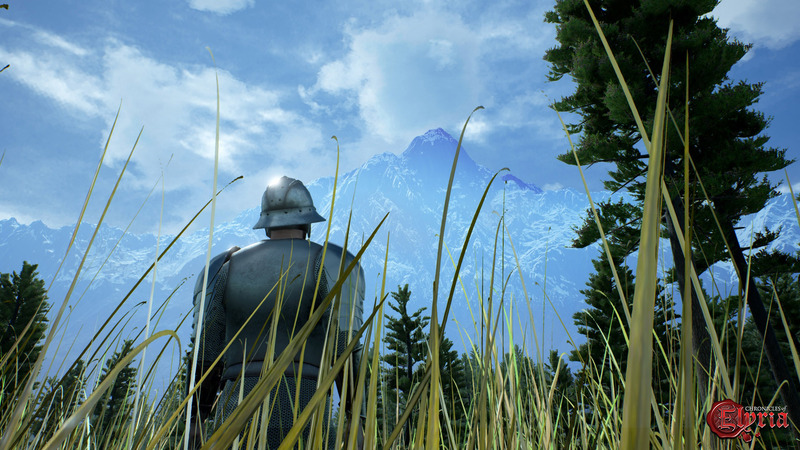 > > > > The pictures on the Early Access thread are awesome too. They always are, but no spoilers from me :) > > Aww what? Did I have to pledge higher than merchant tier to get access to that thread? :( Yes sir! What is the eta for the upload to YouTube ? Welcome Cynax! Loved the Vanguard PvP server, excited to see what you can do in CoE. Regarding the dig/bury system - internally we like to think of that as the "hide anything" system. It means not only being able to dig holes and drop stuff in them, but treating the majority of objects in the world as containers.... such as cutting out holes in trees to hide stuff, secret book safes, or even hidden compartments in the bottom of trunks. Regarding the dig/bury system - internally we like to think of that as the "hide anything" system. It means not only being able to dig holes and drop stuff in them, but treating the majority of objects in the world as containers.... such as cutting out holes in trees to hide stuff, secret book safes, or even hidden compartments in the bottom of trunks. Regarding the dig/bury system - internally we like to think of that as the 'hide anything' system. Sweet Jesus I love the sound of that. Posted By **Caspian** at 1:43 PM - Thu Jan 26 2017 > > Regarding the dig/bury system - internally we like to think of that as the 'hide anything' system. > > It means not only being able to dig holes and drop stuff in them, but treating the majority of objects in the world as containers.... such as cutting out holes in trees to hide stuff, secret book safes, or even hidden compartments in the bottom of trunks. Sweet Jesus I love the sound of that. And thanks for building this fantastic community. Your passion definitely shines a positive light on Soulbound Studios, which helps us assemble a great team. 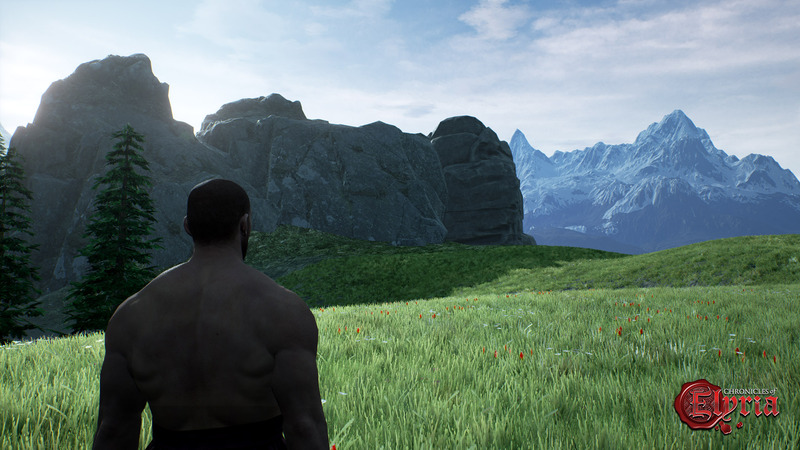 I look forward to bringing this amazing game to life with you all! Thanks for the welcome, everyone! And thanks for building this fantastic community. Your passion definitely shines a positive light on Soulbound Studios, which helps us assemble a great team. I look forward to bringing this amazing game to life with you all! Tunneling was the name of the 1.75 million stretch goal that we previously achieved. Dig/Bury is the 2 million stretch goal that required a new programmer. This 2 million goal is being granted to us despite us not reaching the 2 million goal by the deadline. Rest assured Tunneling goal was achieved and they have plans to implement this as well at launch. It wad called tunneling before, correct? Dig/bury does not have the same meaning. I am just trying to understand what happened to tunneling. Because that is something I was very much looking forward to, and could play a great part in the game as far as player created naratives and dungeons are concerned. Super excited. All the screenshots look gorgeous! Are these ones big enough to support my tree Manor? 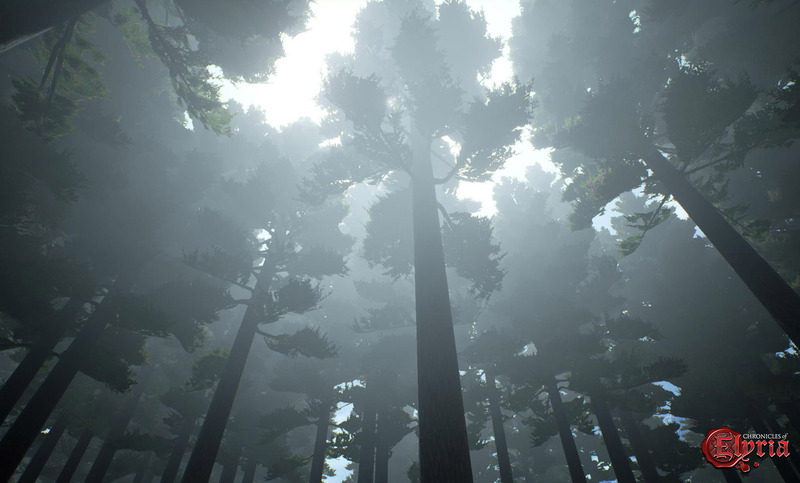 *Measures between the trees* Are these ones big enough to support my tree Manor? 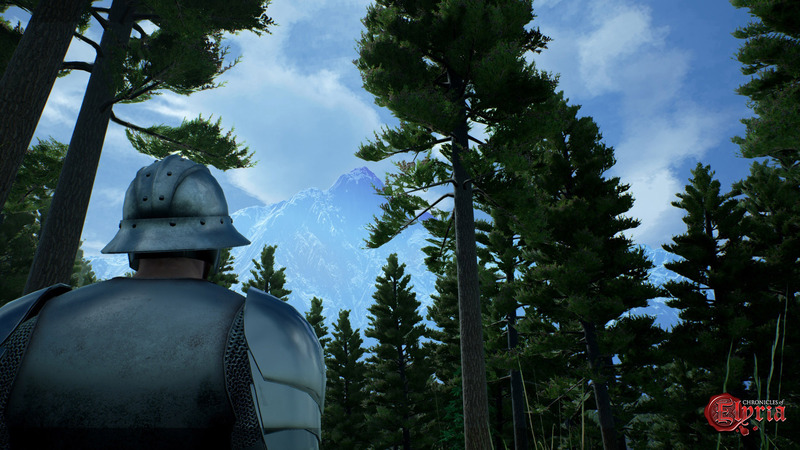 The atmospheric effects and the lighting are looking great! Yep. No skyboxes here. That's full terrain. I love that dig/bury made it in. Thank you guys for that little extra even though we didn't make it in time for the stretch goal! Thank you Vye, awesome update! I enjoy your writing style. There are so many parts and pieces to the project that are being built from the ground up (literally and figuratively). If Caspian had this great idea to build his own automobile he would hire a handful of like minded geniuses. Everyone is excited to see and drive this new car that ticks all of the boxes for the best car ever. Yeah they could go out and buy off the shelf parts and cobble something together that would run, but it wouldn't be his dream car. To Vye's point about a lot of things in progress without an obvious way to show it, there are a lot of parts and pieces. Once all of the parts are ready for assembly the project will make huge strides. I haven't yet tried VR but looking at these screen shots makes me wish I could experience this in a 360 degree view. It is so beautiful. PS I spotted the flags on the keep too. It's definitely improving :) Hard not to be excited about how the games shaping up. Posted By **Choctaw** at 2:28 PM - Thu Jan 26 2017 > > Thank you Vye, awesome update! I enjoy your writing style. > > There are so many parts and pieces to the project that are being built from the ground up (literally and figuratively). > > If Caspian had this great idea to build his own automobile he would hire a handful of like minded geniuses. Everyone is excited to see and drive this new car that ticks all of the boxes for the best car ever. > > Yeah they could go out and buy off the shelf parts and cobble something together that would run, but it wouldn't be his dream car. > > To Vye's point about a lot of things in progress without an obvious way to show it, there are a lot of parts and pieces. Once all of the parts are ready for assembly the project will make huge strides. > > I haven't yet tried VR but looking at these screen shots makes me wish I could experience this in a 360 degree view. It is so beautiful. > > Welcome Cynax! Keep up the Positivity and Sarcasm! :-) On the subject of dream cars.. have you seen Caspian's reg plate? lol Very cool PS I spotted the flags on the keep too. It's definitely improving :) Hard not to be excited about how the games shaping up. Great screenshots. Looking forward to the video. Looks like you guys are making great progress. Glad to hear that dig/bury will be included in launch. Very nice scenery :) Although I hope more variety will be added to forrests, so that it will not look like all trees were planted the same day and all bushes were cut to make it a park. Welcome to Cynax! Another great addition to the team, I am sure. It's awesome to see it grow with yet another experienced member. Amazing update, thanks Vye! Welcome to Cynax! Another great addition to the team, I am sure. It's awesome to see it grow with yet another experienced member. Hi Cynax! I was a beta tester in Vanguard! Didn't have lots of money at the time so I didn't manage to buy it. Loved it though, crafting was nice and the mount variety blew my mind! Good look with your new position! Very nice of you guys to add the dig/bury feature, though I didn't understand if you're gonna eventually add the sensory map after launch or if it's something too hard to conceptualize and implement..
Just a small prompt - if anyone hasn't taken the time to look through the 3 links in Vye's post, it's well worth your while. They have been updated and are looking.. well.. AWESOME. Welcome to Cynax. Scenery is looking more wholesome. Good progress. The landscapes in images are breathtaking! Posted By **GhettoMaster** at 07:53 AM - Thu Jan 26 2017 > > The landscapes in images are breathtaking! You're hoping for an "explore" task sometime soon aren't you? ie explore this region of the map, report any issues, capture a few favorite screenshots and advise of any feedback etc :) It's looking very cool. 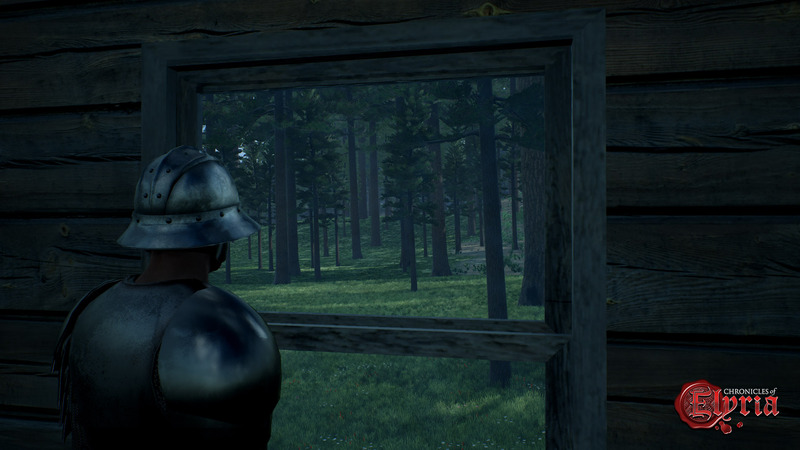 "Andry comes across an abandoned cabin in the woods"
"Andry finds the cabin is in good repair and its windows intact"
"Andry reports people in odd masks standing silently and staring at him from outside the window"
"Andry hasn't been heard from in a while"
Vanguard was amazing. I'm looking forward to what Cynax can bring to the table. Welcome to Cynax and if you haven't already read them I highly recommend A Pattern of Shadow and Light by Melissa McPhail. Thanks for the update, looking forward to the Q & A! BTW, the above pictures are looking phenomenal! Keep up the great work. Thanks for the update, looking forward to the Q & A! BTW, the above pictures are looking phenomenal! Keep up the great work. I can't wait for the Live Q&A tomorrow. The Machine Spirits are willing! I loved Vanguard... I personally thought it was a great game to play and enjoyed many many hours with the crafting system. Yep, Very nice that they decided to give us the Dig/Bury... And it is awesome to see a new face join the team... I loved Vanguard... I personally thought it was a great game to play and enjoyed many many hours with the crafting system. Especially the bury/dig part, that'll be cool.